The studios present the ultimate in self-contained accommodation - no corners have been cut here - goose down doonas, espresso coffee machine, seductive mood lighting, plush robes and 2 private decks - this is truly the art of indulgence! Set amid 40 acres of rolling countryside & adjoining lush bush land, they offer amazing views over the surrounding vineyards & chestnut groves to Mt Buffalo. 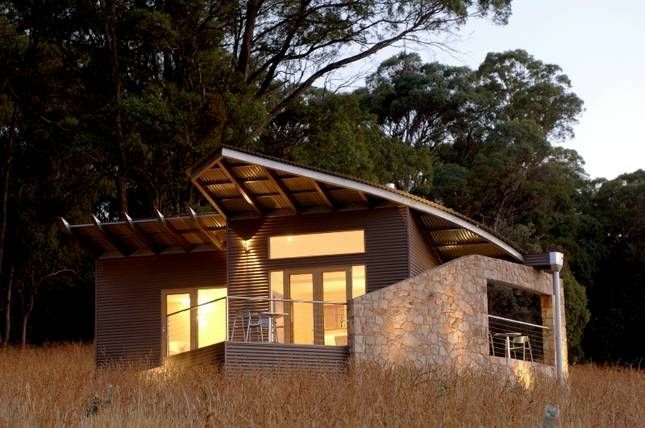 Tucked away in the picturesque Buckland Valley, yet close to Bright (12 kms), Mt. Buffalo (20 kms) and Mt. Hotham (65 kms). At The Buckland - Breakfast Lounge we offer our guests a sumptuous full country style breakfast buffet included in the nightly tariff (excluding on Wednesday mornings and as indicated on our booking calendar on our website). Sit back, enjoy your breakfast, read the papers or gaze at the view. How about a cappucino on the terrace? Mmmmhhh, it doesn't get much better than this! Great property, great location, stunning views. Peaceful, quiet, luxurious in premium location, stunning views, amazing sunsets, close enough to Bright for restaurants and services, far enough for total privacy and relaxation. Exceptional accommodation along with the most amazing views. Owners always provided a daily outstanding breakfast. Beautiful accommodation in a beautiful location. A beautiful place to stay and relax utterly! Sabine and Eddie were exceptionally pleasant and helpful and Eddie cooks the best scrambled eggs. Wineries, breweries, snowfields, national parks, cheese factories, history and incredible food all within an hours drive made the Buckland Studios an amazing place to stay. The design and decor is elegant and calming and the studios are built very well with excellent insulation. Don't stoke up the fire before going to bed, unless you like to wake up sweating! The bathroom is luxurious and the rain showers divine. A perfect place!